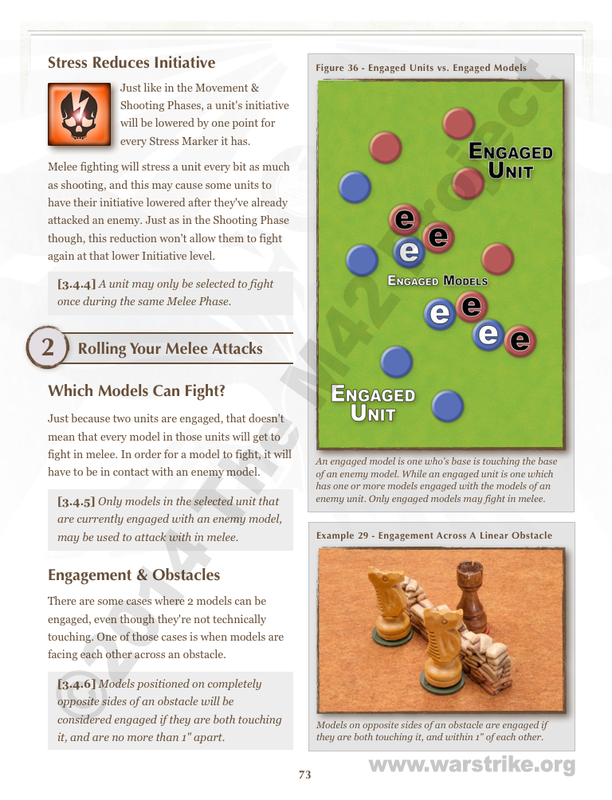 Next page of Melee rules. With an example of unit vs. model engagement, and engagement over obstacles. Next up is engagement with building openings.